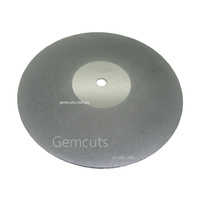 These flat-lap diamond disks are designed expressly for the lapidary field. They come with a 1/2" arbor hole. The diamond is bonded to a solid 2mm metal plate that is ground flat and parallel to exacting specifications. 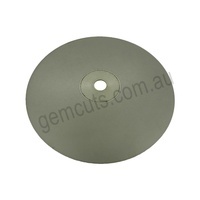 These disks are designed to be used in conjunction with an aluminium master lap. 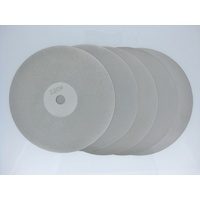 Most of these disks are also available plated on both sides for a small additional charge. 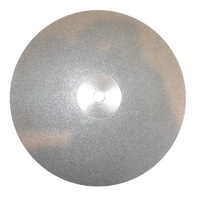 Click on the pictures below to select 150mm (6") or 200mm (8") diamond disks.